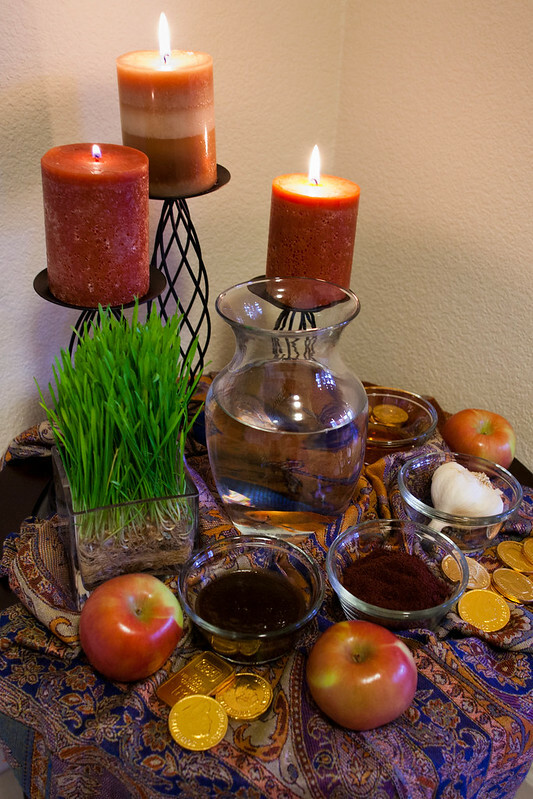 Nowruz Dinner | As I blog. I've wanted to experiment with cooking some Persian food for awhile, and what better excuse than Nowruz (Persian New Years) dinner with friends! 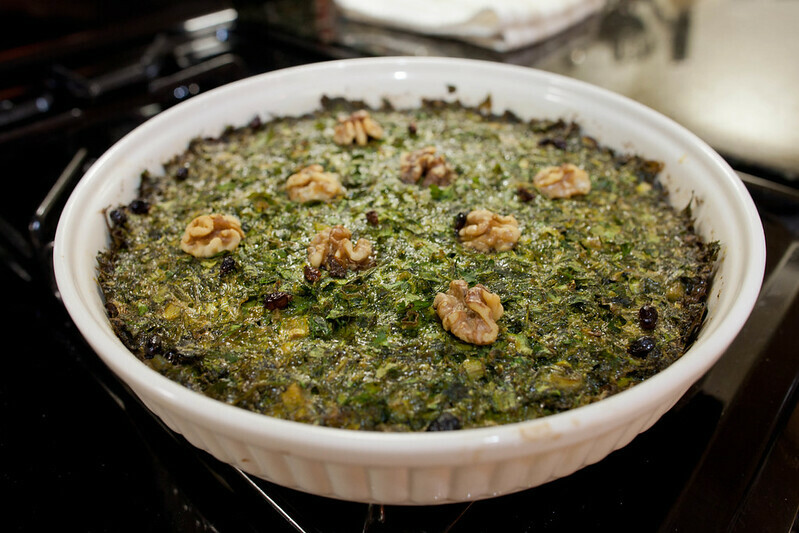 Growing up, my mom cooked Persian food about half of the nights of the week. She's American, thus learned everything from my grandma (Dad's mom) during her infrequent visits from Iran. My grandma doesn't speak any English and my mom speaks no Azeri (or Farsi), yet the cooking skills transferred despite the language barrier. Some of the regular staples at our house include pita bread, feta, walnuts, and greens (parsley, mint, green onions... whatever you can pull up from your backyard garden). Together, they make a mean, healthy, and refreshing appetizer sammich. 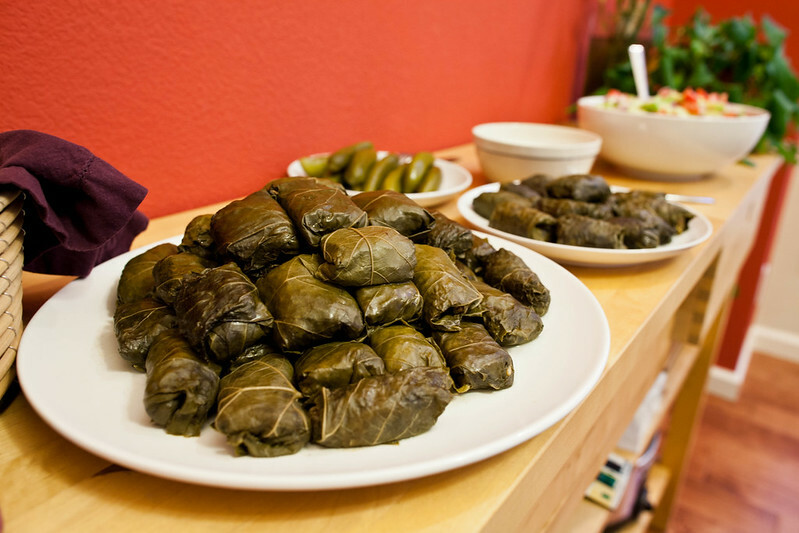 One of our favorite foods growing up were dolmeh, or stuffed grape leaves. Given the labor required to wrap all of these little guys, we had them infrequently, and it was always considered a special treat. Kookoo was something I didn't really love when I was young, but since my diet has become so much more plant heavy, I've found a new love for this dish. It's a lot of chopping, but it's so worth it. I plan to make this one a lot more regularly.